GREETINGS FROM ALUMNI RELATIONS . . . The autumn equinox marks the arrival of the season of fall, traditionally seen as a period of changes leading to winter. As we watch leaves fluttering to the ground in the fall, we are reminded that nature’s cycles are mirrored in our lives. Autumn is a time for letting go and releasing things that seem to weigh us down! As our palettes change to spring our personal canvas with joy and anticipation for autumn, I encourage you to embrace the evolution of the Alumni Association! As the Association concludes another year, we are encouraged by our progress and filled with hope for the future. Shortly, you will receive our State of the Association that includes discussions of our “Moving Forward” plans. In the meantime, we have begun plans for our 2014 Annual Meeting, which will be held January 16-17-18, 2015. ”Coming Home” is not only our theme; it is our heartfelt invitation to you. Join us for this time of remembrance, renewal and reawakening! We have experienced the budding of life in spring and the flowerings and abundances of summer – as we welcome the seasonal change, take a few minutes to contemplate fall’s changes in your life, your commitment to our beautiful Pacifica Graduate Institute Alumni Association – let us grow even more appreciative of all the exquisiteness that surround us! As true as it may be that updates are necessary for our MACs and PCs, regular updates are also required in our non-virtual lives. Recently I happened to listen to a recording of Errol Garner playing Body and Soul, and something registered with me as I was reflecting on what to write to you in this quarter’s newsletter. It comes down not just to “tending soul in the world,” but also to honoring ourselves by a Body and Soul update just for ourselves. Some might think this means a complete makeover (something we have almost completed in regard to the new Alumni Association website) but not always. Sometimes it means appreciating, learning, and taking the best from our past, planning and hoping for our future, and then integrating both to allow us to focus on the now to live body and soul at a deeper level. Most of us who are alumni of PGI recall experiencing this dimension, whether we were able to put words to it or not. Living and studying together with our cohorts and connecting with many wonderful scholars and teachers changed many of our lives. While words are important, sometimes words are not needed except to confirm at that deeper level that yes, I had that wonderful depth experience. Joining the PGIAA and participating in one of the 32 or more (and growing!) regional groups that have been formed is a way to keep alive that connection with each other that so many alumni have sought. Each of us has so much we can continue to bring to each other; to share and receive; to find sustenance, body and soul; and to re-energize those archetypal themes of gentleness, playfulness, and fierceness in ourselves to be beacons in our work and play in a world that desperately needs our loving attention. We are in the final planning stages of offering a wonderful PGIAA Annual Meeting to be held the weekend of January 16-18, 2015, on the Ladera Campus. It will be a weekend of homecoming and connection, with special events to be held throughout the weekend. Complete information about the event will be forthcoming soon. I hope to see many of you at this special weekend. I am writing this to you from the high mountains of Montana where tomorrow I will lead a seminar on Dream Tending. At this moment I am next to a river, gazing at the aspen trees turning gold and the pines reaching toward the sky. The pulse of the Anima Mundi beats strongly here. And, too, from this elevation I sense the push of generativity alive in many of you, so vital to our vision of tending to the soul in and of the world. Once again we are called to support the convictions we hold dear and to bring the passion and the advocacy of a depth psychological mode of being to the challenges in a culture so obviously asking for attention. As we prepare to gather for the Annual Meeting, I again remember what brought us together as a community from the beginning. The call was not only rational. The impulse originated from a deeper source—a push to engage our own experiences at levels of consciousness not yet fully realized. We felt the need to explore inward while extending our reach outward. While in school at Pacifica, we interacted with one another, completed often demanding course work, and conducted research, all of which prepared us for what is being asked now: a collective mobilization on behalf of psyche’s dream. Supporting one another, we build affiliations that fuel the “blue fire” so necessary to bring our commitments and contributions more effectively into practice. As our tribe assembles, we will create an interrelated resource that is as potent as it is poetic. At Pacifica, transforming ourselves is transforming the world. Cultivating imagination informs the core of our many initiatives. I am pleased to report that after a year of development, our new Pacifica web site has now been launched. It includes the Pacifica Post, a place for commentary from our depth psychological perspective on politics, the environment, and social justice. Also embedded in the website is a Video Gallery linked to YouTube, offering archival as well as live streaming of seminal lectures and commentary from faculty, students, and alumni. Additionally at Pacifica we are hosting international groups of scholars and community activists. Next week a group from Brazil will visit the campuses, and in January groups from Argentina and Switzerland will make their way to Santa Barbara. Working together, we continue to realize our goals of developing lifelong education for the needs and demands of the 21st Century. Most gratifying, however, is what I witness on a daily basis. 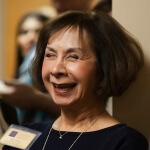 It seems like not an hour goes by that I look outside my office door into Dianne’s office and see Alums at work, both in meetings on campus or by connecting via teleconference. They work tirelessly at developing a new association, orchestrating regional gatherings, designing and implementing a new alumni website, and so much more. This work embodies the Pacifica dream—our intention set at the beginning—to bring the insights and knowledge of Pacifica’s mission into the world. I look forward to seeing you in January here on campus or at the many regional events being planned over the next year. Your service—our service—makes a difference. Together, we can truly make the beauty we love be what we do. Join Us at the Upcoming Annual Meeting in January! Reminder: We need your current email address! Please let our Director of Alumni Relations, Dianne Travis-Teague know if you have moved or changed your address or if your primary email address is other than your pacifica.edu address. We want to stay in touch with you. In addition, if you have PGIAA colleagues or cohorts who are not receiving Alumni Association information but would like to, please let them know we need their current addresses! PGIAA includes 23 different regional centers with 32 Regional Coordinators (RCs). We invite you to join our work in progress. We are learning, changing, trying new things, and growing. One of the most exciting and challenging parts of the RCs’ work is the creation of their unique regions, enabling the participation of those alums who want to stay connected while living away from PGI. Regional network groups are a reflection of the similarities and differences alums brings to a regional center, each of which is birthed to support and nourish alumni work. The regional centers create community locally to share dreams, hopes, and visions. They are also creating a “web of life” for PGIAA nationally and globally. RCs are already planning 2015 programs and events. The recent PGI survey will help in this endeavor. Thanks to those of you who responded for taking the time to answer the survey questions. We also welcome your thoughts and encourage your participation. PGIAA is looking for RCs in Colorado, New England, New Orleans, North and South Carolina, and other places where alumni find themselves. PGIAA is more than a California or even West Coast association. While this area is an important part of who we are, PGI alumni are spread across the country and around the globe. We hope our network will reflect our diversity. That means we depend on you! Do you have an interest in meeting with other alumni? If so, and you don’t see your area listed as having a regional center, please contact us. We can find out how many folks are in your area and talk about what is possible. PGIAA continues to expand regional coverage. We are delighted to introduce Jeannette Bland in Riverside/San Bernardino CA, Christina Frasher in Ohio / Pennsylvania, Phil Gibson and Fujio Manderville in Washington, and Victoria Drake and Barbara Fox in Chicago. These new RCs will soon be contacting the alumni in their regions. Please welcome them. They cannot do this alone. Their volunteer efforts are invitations for you to join them. Our heartfelt thanks go to two of our retiring RCs. Many of you know Dianne Coffey from the Mid Atlantic-East Coast region, who is stepping down as an RC. We will miss her creativity and enthusiasm. Diane is an important part of our foundation. She gifted her time and energy creating one of the first and most active FB pages. She was instrumental in so many pieces and parts of the beginning it is impossible to list it all here. Ours thanks go as well to Margaret Camuso, who was an RC and our scribe for a year, and to all the others whose footsteps we follow as we continue to lay the foundation for PGIAA. You may remember from earlier in the year that several other regional centers have started up. In Atlanta Georgia, Brian Gieringer has begun meeting with a core group and is planning a gathering this fall. San Diego’s three RCs—Sandra Rogers, Karey Pohn, and Hayden Barnes—are collaborating with Beth Boardman, RC from Orange County, and PGIAA Director Dianne Travis-Teague to create a very exciting upcoming event in February. They also plan an informal gathering before the end of the year. Gail Lyons in Vancouver, BC is getting ready to send an invitation to alumni in her area inviting suggestions and participation. Annie Parry, our other Canadian RC, is getting ready to work with the Toronto regional center. She hopes to have one informal event before the end of 2014. Please contact them with your ideas. Both are gathering core groups in their areas. Arizona: RC Gregory Baisden is busy working on our new website. We are thrilled to have his sensitivity to both the larger picture and the regional view. He and Rebekah Lovejoy are crafting a site that is important to the regional voice and view. If you want to help with the AZ area core group, please contact Gregory. Central Coast: There are so many wonderful thoughts and plans—now it is just a matter of finding the connections. Stay tuned as they continue to network with the community, and listen carefully for what is next. Los Angeles County: Rita Bazeley and BJ Jakala, LA County RCs, are listening to many of you and responding. In addition to large special events, this region has a very active and vital newsletter. Their third newsletter was sent the beginning of October. The RCs are exploring alumni interest in a small Dream Circle and a Peer Supervision subgroup. They are also looking for venues for large and small gatherings. They focus on Angelino life after Pacifica in their quarterly newsletters, spotlighting alumni work. Let them hear from you as they plan for 2015. Monterey & Central CA: Saundra Salyer describes this as a “cocooning” time. The region continues to meet quarterly and sees this as a time of review. It is a great time to add your voice and ideas. Join them. NORCAL: This is a large region with many RCs. They have had special events, small get-togethers, and teas for meet-and-greets. Sandra Hopkins in South San Francisco; Nataliya Bolsheva, Laurie Chandler, and Daniel Clifford in San Francisco; Diana Fisher in Berkeley; and Ruth Meyer in Redwood City are interested in supporting alumni within the Northern California Network. Kay Todd is the newest addition to this region. She is a huge loss to Texas, where she was an RC for almost a year, but will add her special flair to the NORCAL center. San Francisco: Laurie Chandler, part of the NORCAL group, reports great success with the September 28th salon! The center is planning a next event for October 19th. Please contact Laurie for more details, sign up for THE BIG TENT, and watch for the new NORCAL Facebook page. Orange County: Beth Boardman continues to coordinate the Orange County regional center. Beth is looking for members for her core group and ideas to move forward in addition to the collaboration with San Diego for upcoming events in her area. OC is considering another outing to the Bowers Museum at the end of October. You can join her on the Orange County FB page or add your voice to their newsletter. 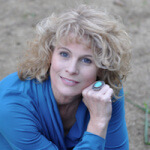 Santa Barbara: Kathleen Killian continues to plan development for this region by supporting numerous alumni events on the PGI campus and by providing support to PGIAA Director Dianne Travis-Teague. Maryland, Virginia, & Washington, DC: Grace Porter and her group continue to meet regularly. They have focused on both alumni work as well as other subjects of interest to the alumni in the group. This region has been growing and always looking for new ideas and opportunities to bring alumni together. Because this is another large and diverse regional center, if you have ideas or thoughts, please let Grace know. She is currently planning a labyrinth walk for the spring. Mid-Atlantic: Following Dianne Coffey’s departure, this regional center is actively looking for a new RC! New Mexico: Jill Griffin reports that the NM Salon Series continues to meet every other month. The NMSS features alumni work: for example, on August 24 the presenter was Michael Benanov. The next Salon is scheduled for October 26, 2014. The other news this quarter is that NM hosted their first event in Albuquerque to welcome alumni in that part of NM. The Salon Series is held in Santa Fe, and while everyone is welcome, some folks would rather not drive long distances in the evening. Because of this, NM heeded the call and held an August event in Albuquerque. There is now a small group of Albuquerque alumni who have met and are planning their own events, including small dinner gatherings. For the remainder of 2014, they plan to have one more Salon evening in early December. New York, New Jersey, & Connecticut: Nicole Miller has her hands full looking for creative ways to coordinate these diverse areas. She recently had an exciting event on October 4 in NYC at an alum’s house. She hopes you can join them if you are in this region. Oregon: Faith Buchanan and Veronica Vargas are coordinating Portland’s ongoing discussion group by gathering every other month at alumni homes. They are also considering beginning a peer-review group. This small core group envisions growing and making connections with more alumni in the area. Their next meeting is in October. Texas: Jo Todd and Sallye Sheppeard are currently planning meetings in the various metropolitan areas of Austin, Dallas, Houston, and San Antonio. Their agenda will be to meet more alums locally, and they welcome new graduates and current students. They hope to find RCs in each city who are interested in connecting with PGIAA. A Last Word: This is just a glimpse what is in process right now. For more current information between newsletters, please check our PGIAA Facebook page, LinkedIn, and, of course, emails from your RC. Want to get more involved? Great! Just contact your RC, Dianne Travis-Teague (dtravis-teague@pacifica.edu), or Jo Todd (jotoddphd@gmail.com). We have a listing of Pacifica Graduate Institute Alumni Association Regional Coordinators here. 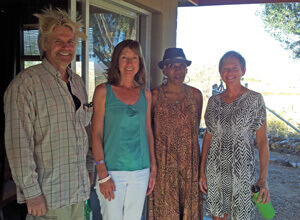 Synchronicity & PGIAA Meet at Riverside/San Bernardino Gathering! The PGIAA-R/SBRC coordinated its inaugural participation in the PGIAA constellation on Friday, September 12th by hosting a Meet & Greet at a private art studio overlooking the beautiful Yucca Valley. This event coincided with the Synchronicity: Matter & Psyche Symposium (9/12-15), at which Pacifica’s presence was strong and integrally supportive. The attendees exchanged personal PGI experiences and, more importantly, anecdotes about how Pacifica continues to inform their professional, singular lives. At the Symposium itself, PGIAA set up an informational table in the main presentation hall. This was a perfect invitation for many people to stop by and ask questions, pick up a shiny, golden candy treat, or an invaluable keychain flashlight, so necessary for taking safe steps in the extreme High Desert darkness! We greeted PGI students from Nevada City, CA; Philadelphia, PA; and Chicago, IL, mentioning the Buddy Program and their regional satellites of PGIAA. While current students were not eligible to participate in our recent survey, we spoke of other aspects of post-graduation life they might encounter knowing that the Alumni Association would be there for them at that time. A huge THANK YOU goes to PGIAA Director Dianne Travis-Teague, without whom this regional group would never have taken form. Her tireless attention to details and supplies and her continued involvement proved invaluable. Special thanks also goes to Dr. Steven Aizenstat for spending precious time at the PGIAA informational table to talk to and engage with attendees, even as he was doing double and triple duty in preparation for his next speech and book signing. Thank you as well to Drs. Catherine Svehla, Barbara Morse, and BJ Jakala from Joshua Tree, CA (San Bernardino/Riverside, Santa Barbara, and our sister region, Los Angeles, respectively), for their attendance. Their encouragement, networking, and overall spreading of the word gave us all a sense of excitement for future growth. Notes from the Comments Book ranged from “Love this!” to “Come meet in my city next” (Riverside, CA; Riverside Co.). We look forward in the coming year to unifying Pacifica’s presence in these two very large California counties, Riverside and San Bernardino. Stay tuned for the contributions of this new regional center! Success in San Francisco: A Gathering at Diane’s Place! On September 28, 2014, several alumnae from Northern California gathered in Diane Bielefeld’s beautiful San Francisco home. We spent two hours chatting and getting to know each other. We also crafted a new mission statement for our fledgling group: “We meet to share our experiences and support each other in embodying Pacifica’s motto to care for the soul in our personal and professional worlds.” Future topics will be tailored to the desires and needs of the group perhaps with theses/dissertation presentations or discussions of a book, myth, film, or article. Please join us at our next gathering 4-6 pm Sunday, October 19th. For details, contact Laurie Chandler. On the week end of September 19th, coming from Canada, Maine, Minnesota, Washington State and California, 12 of us from the Class of 1994 -Track A – gathered together for a 20-year reunion. It was a time of celebrating our journey and honoring the faculty who with their knowledge and wisdom guided and encouraged us through our years of study. The celebration started the evening of Friday 19th. An invitation had been extended to all PGI Faculty to join us for a Reception and a Dinner at the Upham Hotel. Dr. Robert Romanyshyn, Dr. Patrick Mahaffey and Dr. Veronica Goodchild attended. Unfortunately, many of the Faculty sent regrets due to being travel or teaching duties. During the dinner, Dr. Robert Romanyshyn invited us to share where we came from and where life had taken us since we left Pacifica. It was a special time that allowed us to delve once more in each one of our lives and feel reconnected. The dinner closed with a slide show of many candid pictures that had been taken during our three years of studies bringing back some wonderful memories… and seeing the passing of time!!!!! The following day, a whale watching trip was enjoyed by several. The evening saw all of us gathered once more around a friendly dinner and lively conversations. On Sunday a special breakfast hosted by Alumni Relations, was served on the Lambert Road Campus lawn. Dianne Travis-Teague joined us to inform us about the many activities and updates of the Alumni association. This special weekend closed with a ritual, sending us back into the world, encouraging us to continue on sharing our dreams and the vision of the Anima Mundi Colendae Gratia (For the sake of tending the soul of the world). View slideshow here. September 19-20-21, 2014 Click here for details. Thursday, October 23rd, 6:00 – 8:00 p.m. The October episode from the Power of Myth series with Campbell and Moyers focuses on the theme of sacrifice in myth, as well as the importance of finding our own sacred places as the world and the collective pace hasten. It’s been 27 years since this dialogue was filmed, and, given how life has become even more technologically oriented and moves at a speed not known back in the 1980s; this topic feels even more important to reflect on now. After the screening, a discussion will be facilitated by Safron Rossi, Ph.D., Curator of Collections at OPUS Archives. OPUS is the home of the Joseph Campbell Library and manuscript collection. The work is a result of the dissertation, Hospitality of Color: Healing Presence in Ceremonial Balinese Textiles, by Pamela Bjork, a 2012 graduate of the Mythological Studies Program at Pacifica Graduate Institute. The exhibition consists of an array of Balinese ceremonial textiles, photographs of sacred rituals, mythic dance, Balinese people, dance masks, mythological stories, Ketut Liyer’s magic drawings (of Eat, Pray, Love fame) and other cultural artifacts collected over the past twenty years. An accompanying short film, produced by Pamela Bjork, provides sounds and visions of ritual ceremonies, sacred dance, healers and peoples of Bali. Sept 2-Oct 12 – San Juan Capistrano, CA Calamity Jane the Musical Camino Real Playhouse Click here for details. Oct 17-26- Carpinteria, CA Calamity Jane the Play Plaza Theater Click here for details. 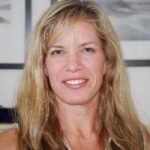 CATHERINE ANN JONES holds a graduate degree in Depth Psychology and Archetypal Mythology from Pacifica Graduate Institute where she has also taught. She is an award-winning playwright, author, & screenwriter whose films include UNLIKELY ANGEL, THE CHRISTMAS WIFE, and the popular series, TOUCHED BY AN ANGEL. Fulbright Research Scholar to India studying shamanism, winner of the National Endowment for the Arts Award, author of The Way of Story: the craft & soul of writing and Heal Your Self with Writing, Catherine works as a writing consultant, keynote speaker, and teaches both here & abroad. For online courses, schedule, blog, and consultant service visit www.wayofstory.com. We know epiphanies as sudden realizations or flashes of recognition. Although their significance may be apparent immediately or only in retrospect, these are the moments that give depth and meaning to our lives. This workshop will explore the role played by such transformative events, beginning with our earliest memories, and going on to honor the life-changing impact of intense engagements with others. We will also reflect on how encounters with death and with nature’s healing presence can be experienced as manifestations of the divine. Throughout, we will attend to how C.G. Jung, Sigmund Freud, Martin Buber, and the testimony of Greek mythology and contemporary poetry can deepen our understanding of our own experiences of the irruption of the imperishable world into our lives. PROGRAM DATES: Friday, Oct. 31 7:00 pm-9:00 pm Saturday, Nov. 1 9:00 am-5:00 pm Sunday, Nov. 2 9:00 am-12:00 pm Accommodations are available at Pacifica’s Ladera Lane Campus. Click here to view pdf flyer. Saturday Morning Talk 10:00 — 11:30 a.m.
Saturday Afternoon Workshop 1:00 — 5:00 p.m.
Talk: Member $15, Non-member $25. Workshop: Member $50.00, Non-member $75.00.